A prominent defector from North Korea, Roh Hui-chang, decried the fate of North Korean workers, saying conditions had only worsened while leader Kim Jong-un takes advantage of moves toward reconciliation by both the Un ited States and South Korea. Talking at a forum at the National Press Club in Washington, Roh lamented that both the U.S. and South Korean governments have dropped the topic of human rights in their efforts at North-South reconciliation. In ways, he said, life has worsened since Kim entered into dialog with South Korea and the United States. Rohâs remarks struck a raw nerve among U.S. officials and analysts as they attempt to figure out how to deal with the whole issue of human rights while President Donald Trump still seems open to a second summit with Kim Jong-un. 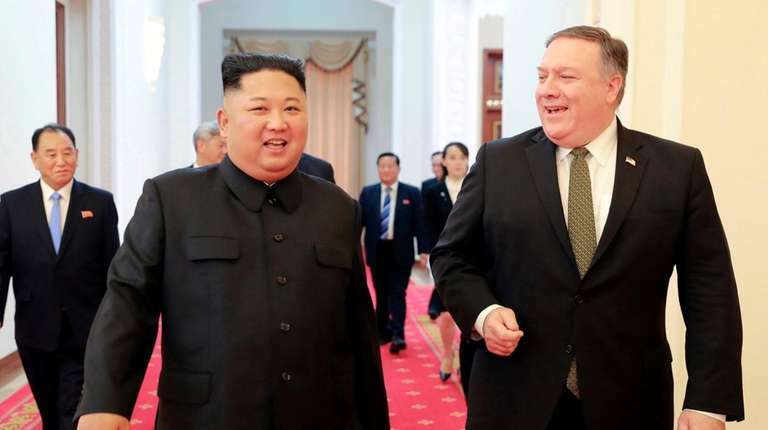 The Americans have avoided mention of human rights in North Korea, knowing that Kim would reject any attempt at blaming him, his government or the ruling Workersâ Party for the harsh rule needed to keep his people in line. Roh estimated that 3,000 people were executed and an additional 15,000 imprisoned as Kim Jong-un consolidated his rule before and after Jangâs execution at the end of 2013. He said that he was working in Russia at the time as a bureaucrat in one of the companies controlled by Jang, whom he had gotten to know quite well. âAt first I couldnât believe it when I heard he had been killed,â he said. âThen after hearing it, I was told that I should return to Pyongyang. I knew that I would be killed.â He defected, he said, first hiding for several months, but he declined to say how he actually got to South Korea, where he worked as a safety deputy for Halla Company and then to the United States, where he represents a health food company. Roh did say, however, that he feared for the fate of his own family and friends after he escaped in order to avoid execution. He said that he had gotten brokers to visit his family home and that they had said no one was living there. âI have no idea what happened to them,â he said. Roh and Kim Tae-hoon, a well-known jurist who had served as chief judge of the Seoul District Court, both expressed misgivings about the shift in U.S. policy. The central point was that North Korea goes on repressing its citizens as usual despite Kimâs three summits with Moon and his summit with Trump in Singapore in June. Roh predicted if Pope Francis goes to North Korea next year, that ânothing will changeâ while Kim organizes a massive welcome for the pope. Similarly, he doubted if another Trump-Kim summit would bring about the slightest results. Suzanne Scholte, president of the Defense Forum Foundation, moderating the panel, sounded a slight note of optimism, indicating that Trumpâs warm relationship was basically a negotiating ploy. By appearing to get along wonderfully with Kim, she suggested, Trump hoped to induce him seriously to change his policies â" not only to take steps toward denuclearization but also to improve conditions for his people. Both Roh and Kim Tae-hoon, founder of Lawyers for North Korean Human Rights and Unification of Korea, were deeply skeptical. Rather, they saw Kim Jong-un as basically putting on an act, misleading the rest of the world, notably South Koreans and Americans, into thinking he was r eally a benevolent leader when he remained as cruel as ever in controlling his own people.